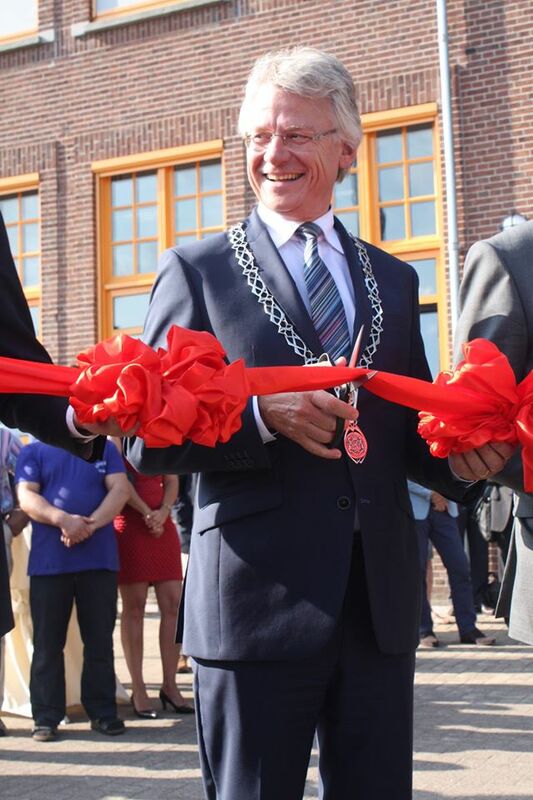 Wittenborg University celebrated the opening of its magnificent new building, Spoorstraat 23, in Apeldoorn on Friday (28 August 2015), proudly showing off the renovated building to students, staff and a league of distinguished guests, including the Mayor of Apeldoorn, John Berends, and many figures from the Dutch education sector and business world. Almost 200 people attended the opening ceremony, touring the facilities and enjoying the refreshments and entertainment featuring a band and a choir. The new building dates from 1922 but got a complete face-lift the past few months turning it into an unmissable sight close to the Apeldoorn railway station where it forms part of a new education hub in the city along with Saxion University of Applied Science who is basing their new location across from the Wittenborg building as well as the Apeldoorn Fotovakschool which have recently attained higher education status. Paul Akkermans, director of the Stichting de Nederlandse Fotovakschool, was also one of the special guests at the event as well as Ellen Marks, director of ROC Aventus. Others included Ria van't Klooster, director of NRTO, Fred de Graaf, former mayor of Apeldoorn and Honorary Professor at Wittenborg , Johan Kruithof, Apeldoorn Alderman and Michiel Scheffer, a member of the provincial executive (The regional Government of the Province of Gelderland). 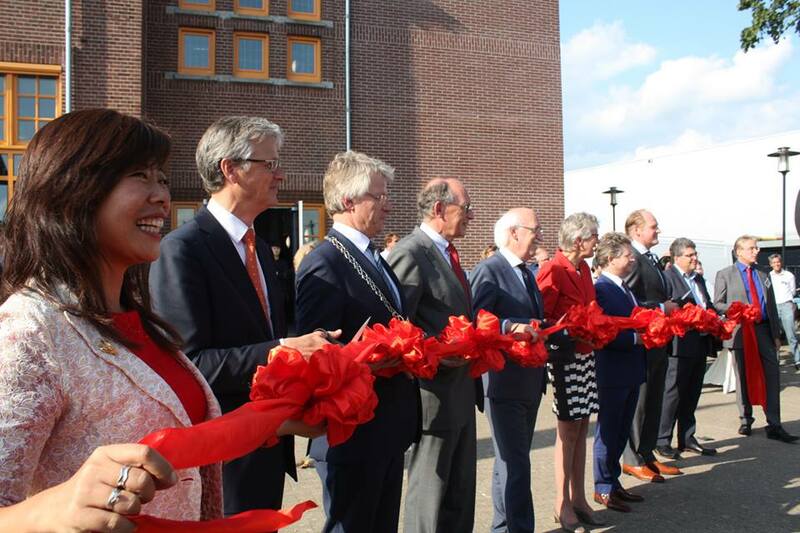 Wittenborg’s Chair of the Executive Board, Peter Birdsall, said the event marks another milestone in the University’s continued growth as one of the most international institutes of higher education in the Netherlands. There are now more than 70 nationalities represented at Wittenborg among students and staff. 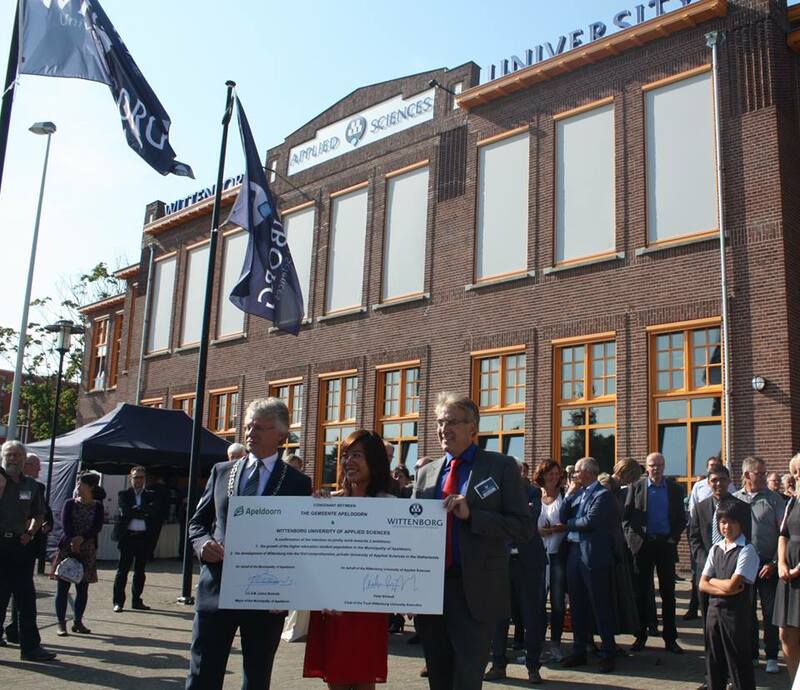 “Our aim is to become the first fully comprehensive private University of Applied Science in the Netherlands offering a broad range of degree programmes in areas of management – from business and hospitality to technology, education, health and social care,” Birdsall said. “Our ambition is to become even more international than we are now, attracting students, faculty and researchers from around the world. The Spoorstraat is part of that development. It helps put us on the map, it makes us visible and the historical nature compliments the newness of the Aventus building.” The ROC Aventus building, which Wittenborg will continue to occupy, is only a 4-minute walk away from the new Spoorstraat building. 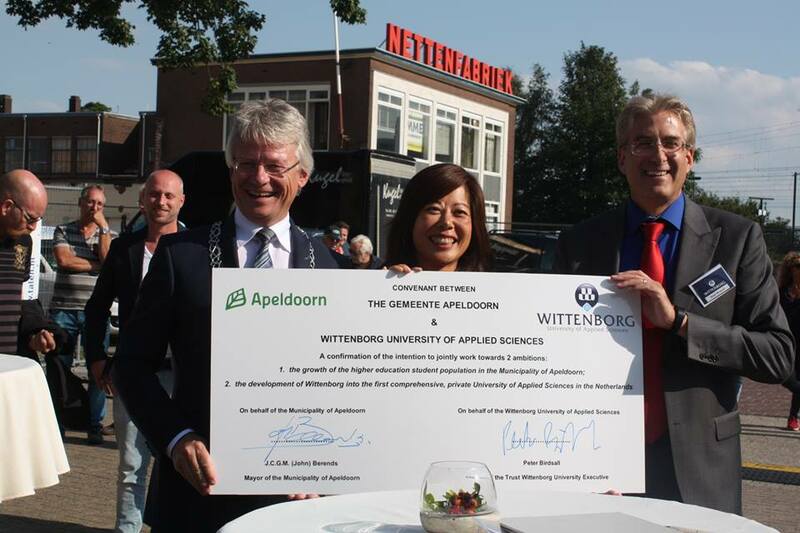 Wittenborg also now has a new location in Amsterdam where it will offer an IBA in Entrepreneurship & Small Business from this autumn. The Spoorstraat 23 location will provide teaching facilities for Wittenborg’s Master programmes and will hold the new library and media center as well as provide a base for the university’s Research Center. From October the admissions team, led by Registrar Santosh Aryal, will also be located at Spoorstraat. In the meantime, Wittenborg’s splendid facilities at the ROC Aventus Building will continue to provide teaching facilities for the bachelor programmes as well as the administration departments and the Student Front Desk. Most teachers will remain based at the Aventus Building.